LP on ORANGE VINYL. 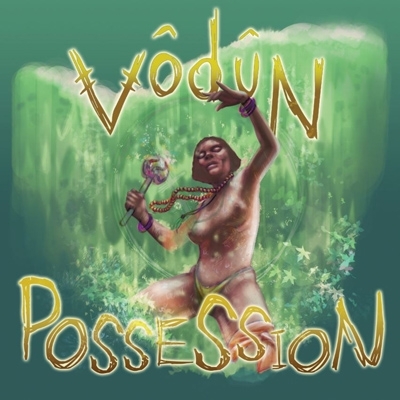 VODUN is a heavy psych trio showcasing elements of Afro-beat and metal and featuring catchy female vocal melodies, backed by heavy riffing and pounding drums. The concept revolves around the West-African tradition and religion of Vodoun, with themes of spiritual possession, slavery and colonialism. Vocalist is Chantal Brown (formerly of Do Me Bad Things), who also contributed to albums of Turbowolf and Uncle Acid And The Deadbeats. ‘Possession‘ was mixed by Tom Dalgety (Royal Blood, Band Of Skulls, Killing Joke).